Stanford E. Strauder, Sr., 66, of Sandusky, passed away Tuesday, July 3, 2018 in Firelands Regional Medical Center. He was born on June 22, 1952 in Sandusky to the late William and Vivian (Gant) Strauder. A graduate of Sandusky High School, Stanford went on to work for the former Scott Paper Co.
A man who loved to make everyone laugh, he was also a huge Cleveland sports fan. But most of all Stanford was a family man. He cherished moments spent with friends and family. 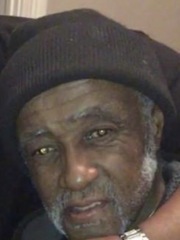 Stanford is survived by his children, Kozetta Pool, Stanford Strauder, Jr., Jonathan Strauder, Tasheia Strauder, Tameeka Grant, RayShaun Grant, DaShaun Grant, LaKeisha Grant, Shawneata Grant, and Stanford Morris; brother, William Strauder, Jr.; sister, Josephine Alderson; 23 grandchildren; 20 great-grandchildren; and a host of nieces, nephews, relatives, and friends. In addition to his parents, he was preceded in death by his brothers, Franklin, Paul (in infancy), and Grayland; special cousin, Frances Harris; and a special friend, Lois Brown. Friends may call from 11 a.m. on Tuesday, July 10 until funeral services begin at 12 p.m. in Toft Funeral Home & Crematory, 2001 Columbus Ave., Sandusky. Rev. Darrell Gant will officiate.